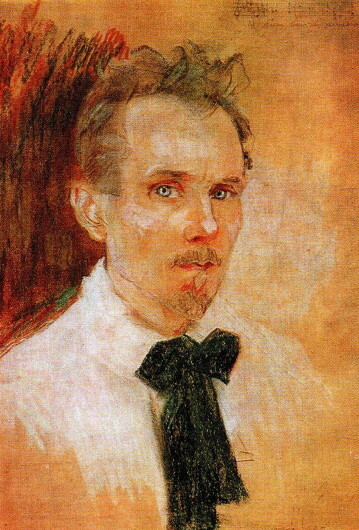 Svitlytsky, Hryhorii [Світлицький, Григорій; Svitlyc'kyj, Hryhorij], b 27 September 1872 in Kyiv, d 28 July 1948 in Kyiv. Realist painter and graphic artist. 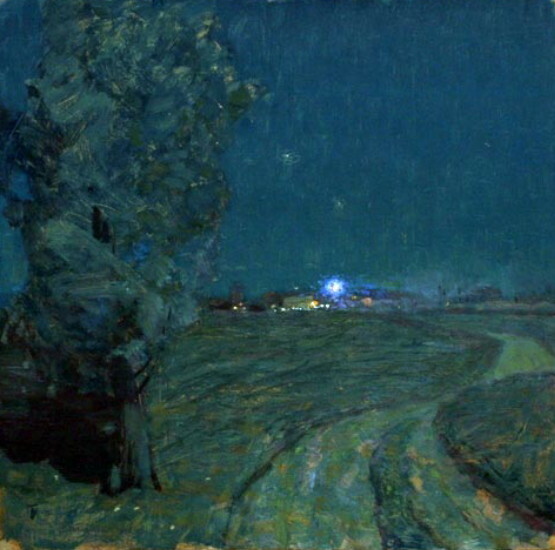 He studied at the Kyiv Drawing School (1889–93) and under Ilia Repin, Mykola Kuznetsov, and Arkhyp Kuindzhi at the Saint Petersburg Academy of Arts (1893–1900). 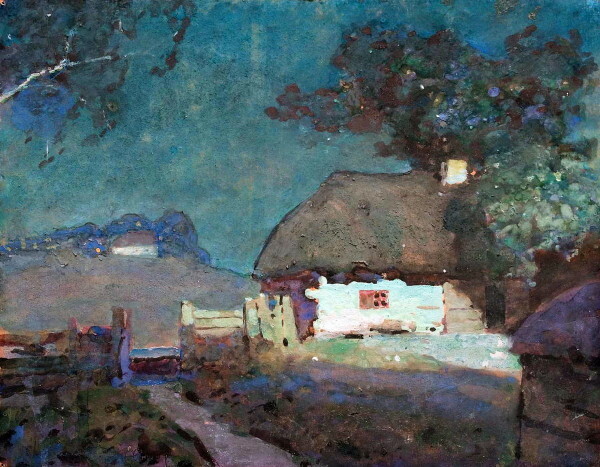 From 1918 he took part in the exhibitions of the Peredvizhniki society, was a member of the Association of Artists of Red Ukraine (1926–9) in Kyiv, and taught at the Kyiv State Art Institute (1946–8). 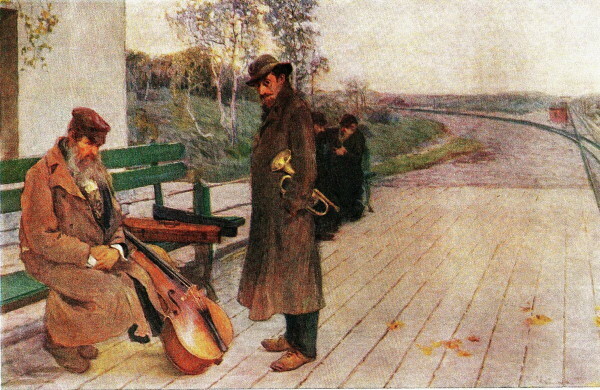 His early works are mostly portraits, genre paintings, and nocturnal landscapes, often on a musical theme, such as Melody (1900), To the City (1907), Musicians (1912), and Nocturne (1914). 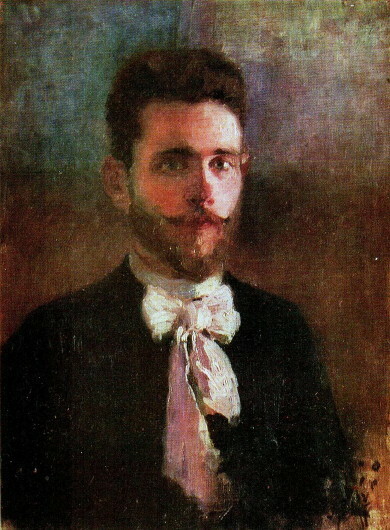 In 1918–20 he worked as a book illustrator and poster designer. 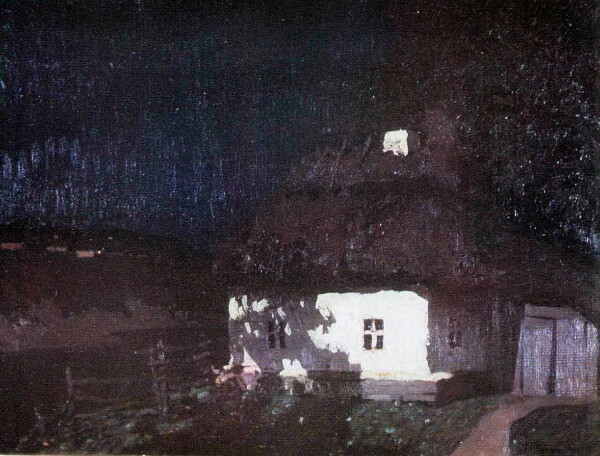 In the Soviet period he painted portraits; genre paintings, such as Village Council (1918), Flourishing Collective Farm in Bloom (1935), and Motherland (1945); and lyrical landscapes, such as Podil [District] in Kyiv (1924) and On the Dnieper (1939). 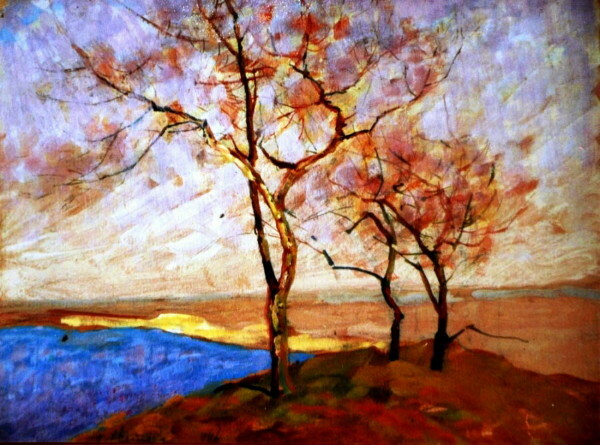 By applying different colors with tiny brush strokes, he achieved an effect similar to that of pointillism. 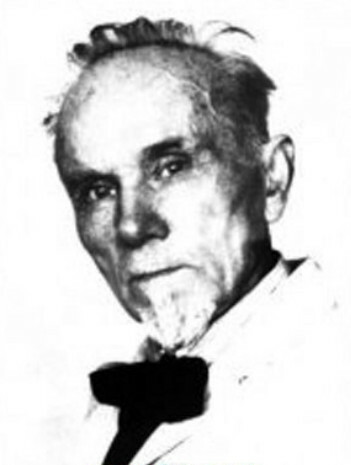 Borys Butnyk-Siversky's book about him was published in Kyiv in 1958. A memorial museum dedicated to Svitlytsky was opened in Kyiv in 1958.